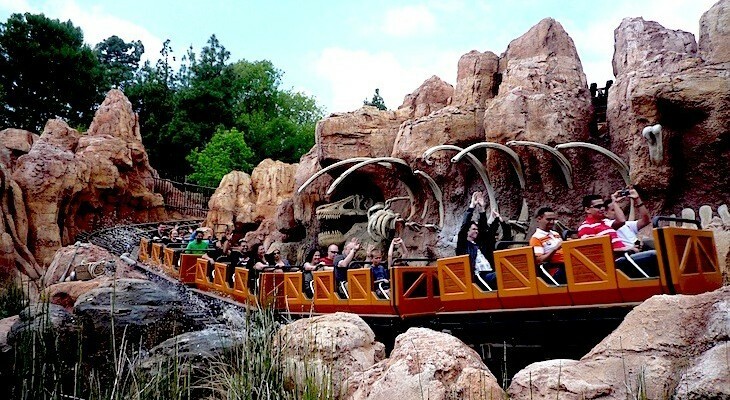 Celebrating the Old West, Frontierland offers loads of rip’ roarin’ fun. 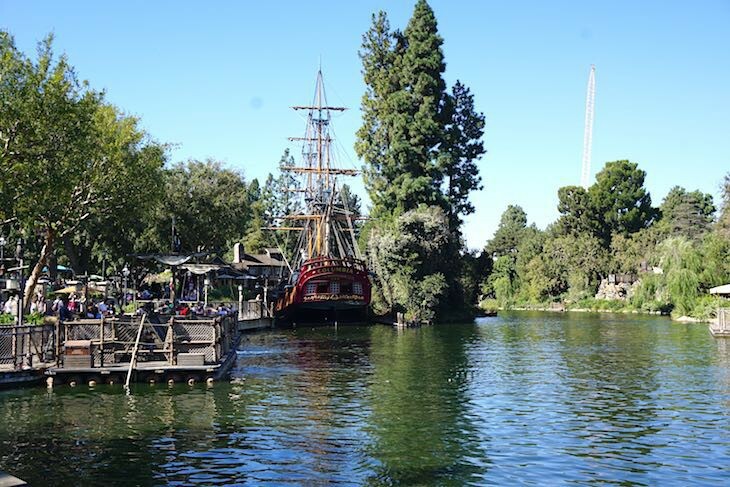 Visit the mining town of Big Thunder Mountain, take a ride on the Mark Twain Riverboat or the Sailing Ship Columbia, and have playtime on Pirate's Lair on Tom Sawyer Island. 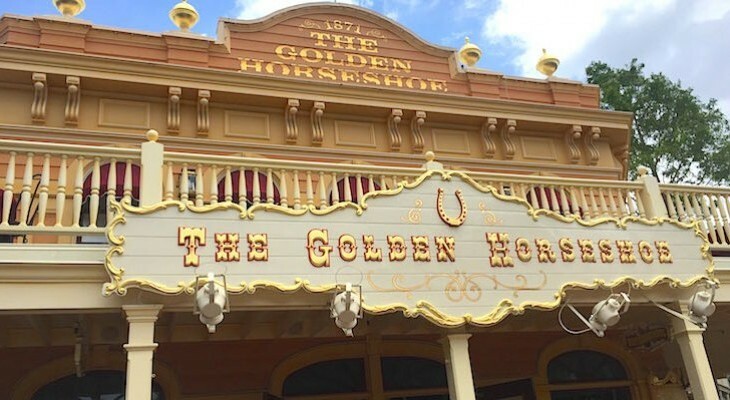 Even pay a visit to the Golden Horseshoe Saloon! Tom Sawyer Island, Sailing Ship Columbia, Fantasmic!, Mark Twain Riverboat, and the Davy Crockett Explorer Canoes are temporarily closing in January 2016 to make room for the highly anticipated Star Wars-themed land. 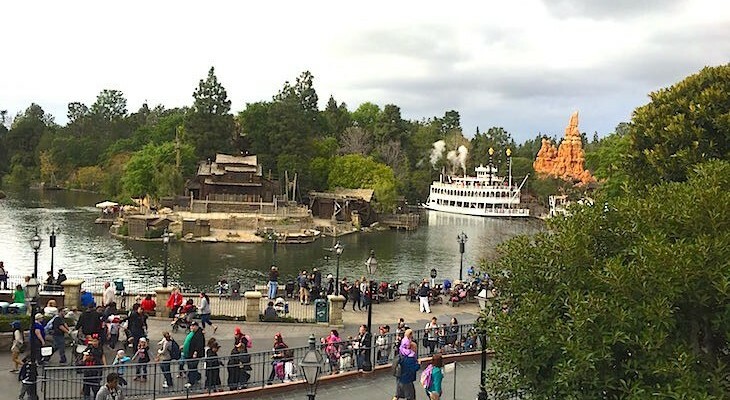 Take a peek at the Old West mining town of Rainbow Ridge in Disneyland’s Frontierland. The queue is a kick as you snake through an old mining town complete with hotel, dance hall, and the requisite saloon (listen closely) while overhead the train goes zipping by. Board a “runaway” mining train led by a puffing and chugging engine for a wild journey through creepy caves, rushing waterfalls, hazardous rockslides, rumbling earthquakes, a natural arch bridge, and more. For those who like speed but not big drops, this is your coaster; there are plenty of curves and small dips, but all in all you’ll find it fairly tame and loads of rip-roarin’ fun. And keep an eye out for those rattlers! Minimum height 40 inches (3 feet, 4 inches). Not recommended for expectant mothers or those with back or neck problems. FASTPASS. 3 ½-minute ride.